The “rich particulars” of Blakeslee’s account were made possible by several human allies, said Christopher Keyes in Outside. 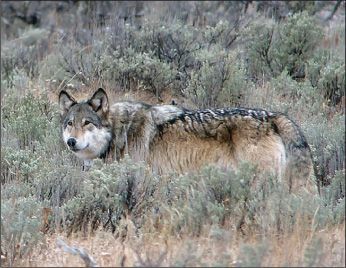 The book’s principal non-lupine character, ranger Rick McIntyre, has kept watch over Yellowstone’s wolves for years, compiling thousands of pages of field notes to track how the species has fared since its controversial reintroduction to the park in 1995. Using the notes kept by McIntyre and other devoted wolf watchers, Blakeslee recounts O-Six’s rise in gripping detail, beginning with the unexpected alliance she formed with two male wolves the observers had nicknamed Dumb and Dumber. Together, the trio gathered a pack that routed all rivals, and their exploits were serialized online for followers around the world. Still, fame didn’t protect O-Six when, in late 2012, she crossed paths with the hunter Blakeslee chose not to identify or demonize.